Mrs. Dorenda A. Muchmore, 89, of Lehighton, passed away, Saturday, March 23rd at The Juniper Village at Brookline Nursing & Rehabilitation Center, State College, Pa. She was the wife of the late Boyd A. Muchmore who died July 20, 1994. Born in Trenton, New Jersey, Tuesday, November 12, 1929, she was a daughter of the late Felix & Pearl (Allen) von Schmidt. She was a self employed antique dealer. 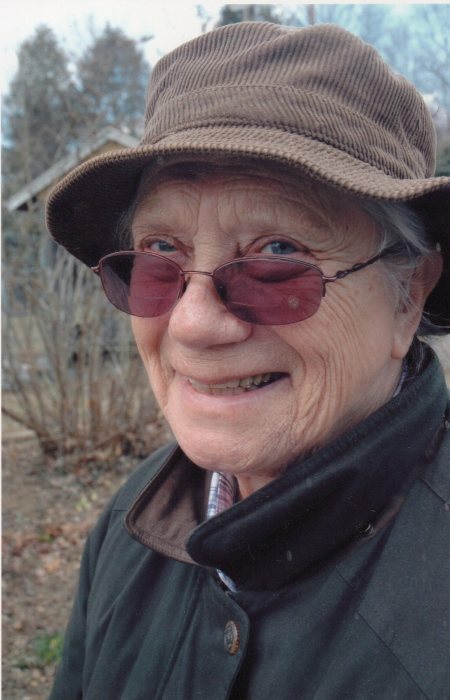 Dorenda was an active member of The First Presbyterian Church of Lehighton. A pet lover, she was a highly experienced horse trainer and performed at The Atlantic City Steel Pier with “Tony the educated horse”. In her spare time, she could be found square dancing with her husband and holding family gatherings. Surviving are 2 sons, Gregory F. Muchmore and his wife Karen of Port Matilda, Pa., Matthew D. Muchmore of Lehighton, 4 grandchildren, Tyler, Samuel, Ben, Jessica, 9 great-grandchildren, 2 daughter in laws, Donna Muchmore & Rose Muchmore, nieces & nephews. She was predeceased by a 2 sons, B. Douglas Muchmore and a 6 year old son, Matthew Muchmore, a sister, Sally, 6 brothers, Chet, Thomas “Caddy”, Pat, Joe, Albert, Norman “Mert”, a half sister, Gladys, a half brother, Felix, and a grandson Seth. Funeral Services will be held on Thursday, March 28th at 10 a.m. at The Ovsak FH, 190 S. 4th St. Lehighton with Martha Cox officiating. Call Wed. March 27th from 5-7 p.m. and Thursday from 9:30-10 a.m. at the funeral Home. Further services will be held at 1 p.m. Thursday, March 28th at The First Presbyterian Church of Cranbury, 22 S. Main St. Cranbury NJ. Interment in The Brainerd Cemetery, Cranbury. Memorial Contributions in her name may be made to The 1st Presbyterian Church of Lehighton, 3rd & Mahoning St., Lehighton, Pa. 18235. Online condolences can be offered at www.ovsakfh.com.